It’s no secret that I’m a little addicted to Hermès scarves …… But to be perfectly honest with you, I haven’t purchased one in ages (last purchase was Brazil No. 2 in Paris at Clingancourt and that was an absolute necessity, n’est pas?). But, I took a peek at some of the new scarves the other day and I’m absolutely smitten with this one, Mystiques Phoenix. What do you think? Pretty or Ugly? 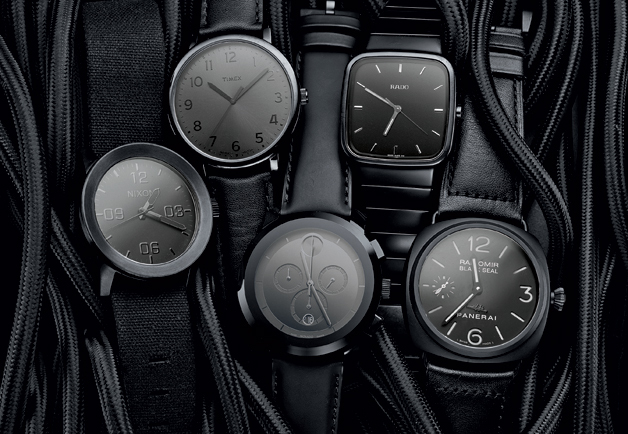 It’s all about the black watch this fall. Black on black on black. Classic. Timeless. And oh so chic! My favorite is the Nixon. What do you think? I’m a little obsessed with layering gold link bracelets for the Fall. Of course, I stumbled upon this pave little gem and all thoughts of gold just fell away. Diamonds are a girl’s best friend, right? And this number has just the right pricetag, only $118 at JCrew. Here’s a true confession, I own a few truly fabulous pieces of jewelry from JCrew. 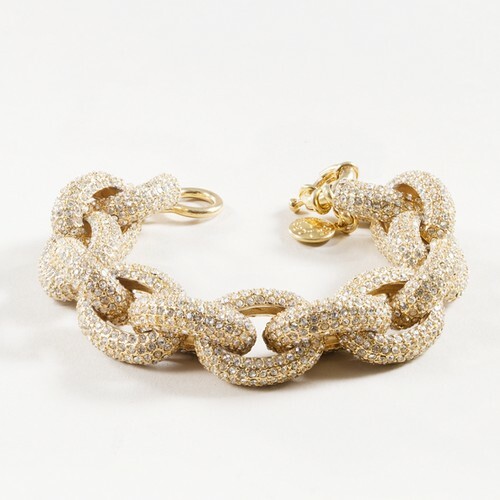 Believe it or not, JCrew has some absolutely amazing gems and this bracelet is just one of the many in their overflowing jewelry box. Jenna Lyons, JCrew’s President and Creative Director, has taken JCrew to the next level and I’m happy to be along for the ride as she introduces the world to the pleasures of sequins, leopard print, bold jewels and bright colors. Is it gaudy? Or just right? Would you wear this layered with a great gold watch and a few interesting gold bangles? I think I like these, but I’m not sure . . . They’re gold. CHECK. They’re platforms. CHECK. So they totally cover my Disco Diva delusions of granduer! Are they comfortable is the question? They’re Italian, by Prada, and therefore they should be comfortable for walking for around in Italy, right!!!??!!? Come on, help me out here. I know, it’s probably wishful thinking on my part . . . but they sure would look good! Spring is almost here! I can feel it, can’t you? 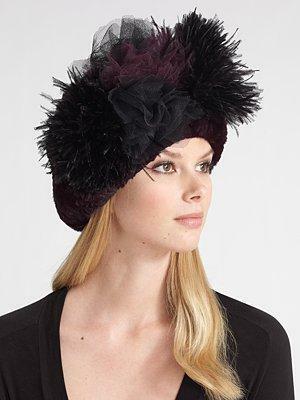 Have you figured out what your one splurge item is going to be for this season of flowers, sunshine and bright colors? This may be mine. When I opened the Saks catalogue and saw this YSL peasant blouse, I literally caught my breath. Y, oh Y, YSL!?! Oh the places I would wear my YSL peasant blouse! On the isle of Capri sipping drinks by candlelight, to a Jazz at Lincoln Center performance with Wynton and the fellas, to a dinner party in the Hamptons — the list is endless. It also comes in a bright blue and white . . . Nothing’s decided yet. 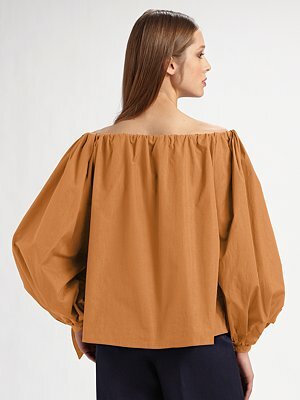 I’m still thinking about it, but I saw this blouse in February and it’s April and it’s still on my mind. What do you think? 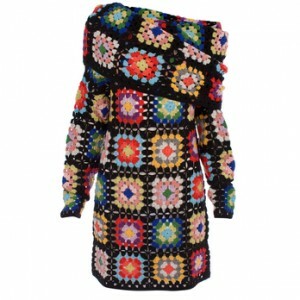 Knits are all the rage this Fall and Paul Smith, that funky English gent, has jumped on the bandwagon with this crochet dress that is reminiscent of an afghan made lovingly by my grandmother. What do you think? If you saw someone with this dress on, a pair of funky heels or thigh-high boots and leggings would you think Salvation Army or high-end British designer? Pretty or Ugly? Published on June 15, 2010 in Pretty or Ugly?. 8 Comments Tags: Church's Brogues. I saw this pair of shoes a week ago in the window at the legendary British shoe store, Church’s, on 63rd Street. I was running late for a doctor’s appointment, but these caught my eye and I did a double-take as I rounded the corner onto 63rd off of Madison Avenue. 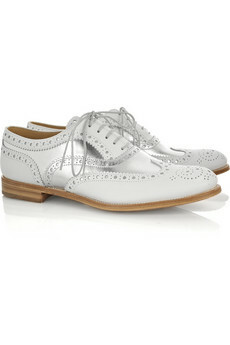 These are Church’s Burwood Brogues. Not generally my kind of shoe – I typically favor a heel of at least the 3″ variety – but these did make my heart go pitter-patter. They’d look great with a pair of jeggings or black leggings, don’t you think? I know people usually think of Church’s as a stuffy shoe store for the discerning gentleman, and it is, but they make beautiful shoes for women too. Each pair of Church’s shoes takes 8-10 weeks to manufacture. Believe it or not, each pair of Church’s shoes are still hand made in their historic Northampton factory. What do you think? Would you wear them? (Oh by the way, the come in black suede with silver too). Pretty or Ugly? 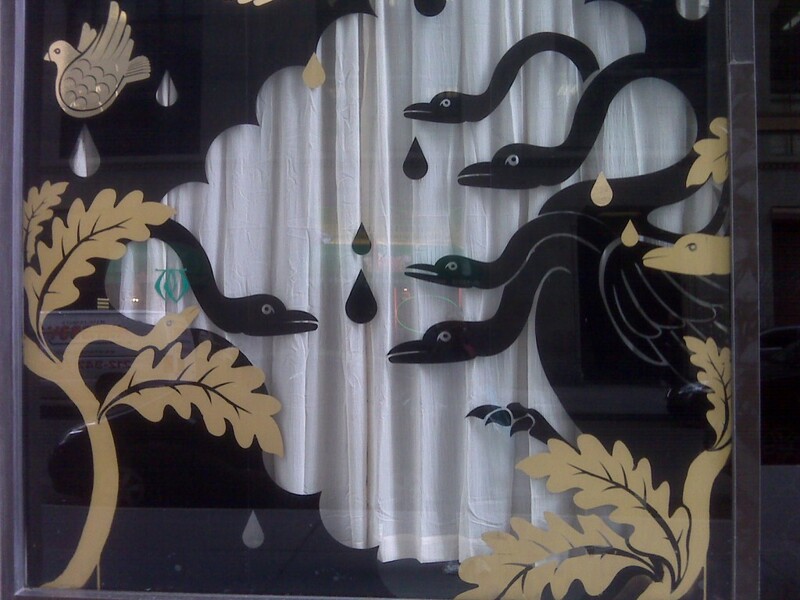 I saw this window as I was walking through Tribeca the other day. I was rushing to get to the gym, but I literally stopped in my tracks when I saw this window. What do you think? Is it pretty or ugly? Published on February 2, 2010 in Pretty or Ugly?. 9 Comments Tags: eye mask, Kalyn Johnson, Mary Green Sleep Mask, sleep mask, Style by Kalyn Johnson. 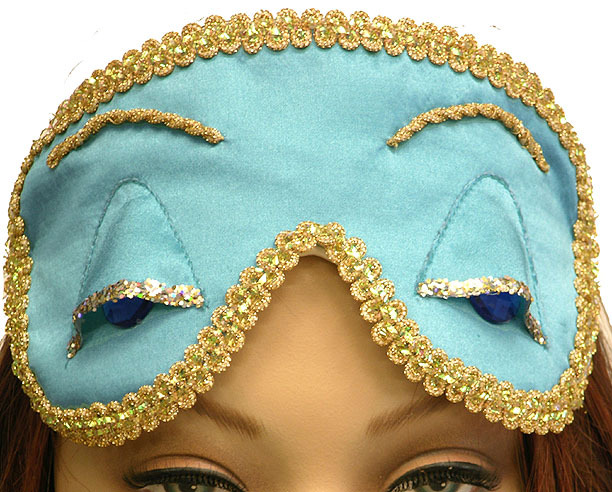 The other day I mentioned that I love Mary Green’s Breakfast at Tiffany’s sleep mask, but said that it might be a little flashy for some. Well, here it is. What do you think? Pretty or Ugly? 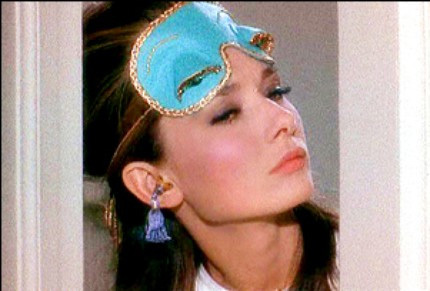 Audrey Hepburn wore a similar mask in Breakfast at Tiffany’s when Holly Golightly was awakened by Fred (a.k.a Paul, played by George Peppard) in one of the opening scenes. I admit, it’s a bit much . . . but that’s what makes it fun too! Please weigh in and tell me what you think – Pretty or Pretty Ugly? . . .